Live (in your new house) and learn. Most of us have moved at least once in their life. How long did it take you to be all settled in, unpacked, and start enjoying your new house? We have lived in this house close to two years now. And though a lot has been done to make it ours, it is far from being finished. 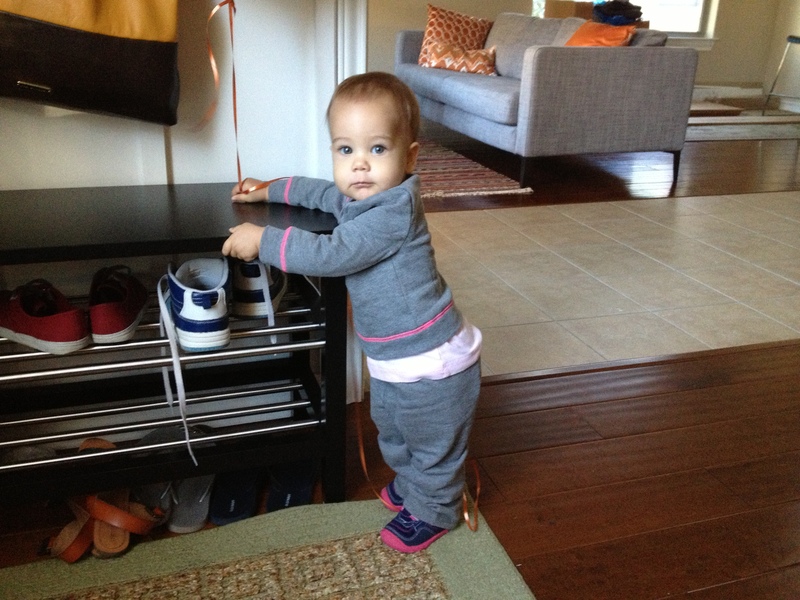 For different reasons– not enough time/energy (new baby! )/money– the house has been coming together slower that I would have preferred. But that is not a bad thing, as I have come to realize. It is actually the best way to approach the whole making- it-ours process. Here is why: right after moving in we made plans for each room and prioritized our home improvement projects based on those plans. According to the plan, our front room– the room you walk into through the front door– was supposed to be a mudroom, since we had no closets by the door. 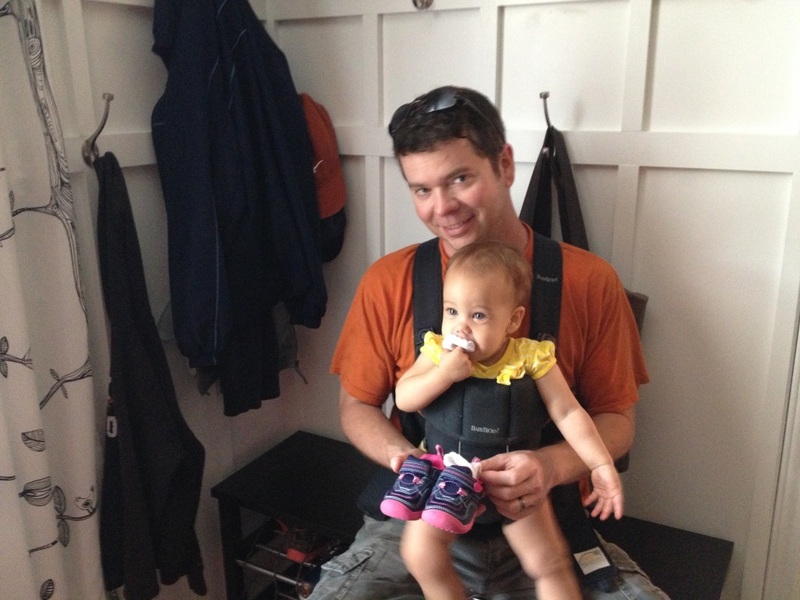 We had researched and brainstormed tons of built-in options to make it a functional mudroom. So the original plans were replaced with a new crazy unconventional idea: to build a mudroom in the home office/homework zone/family command center room that is just to your right when you walk in. 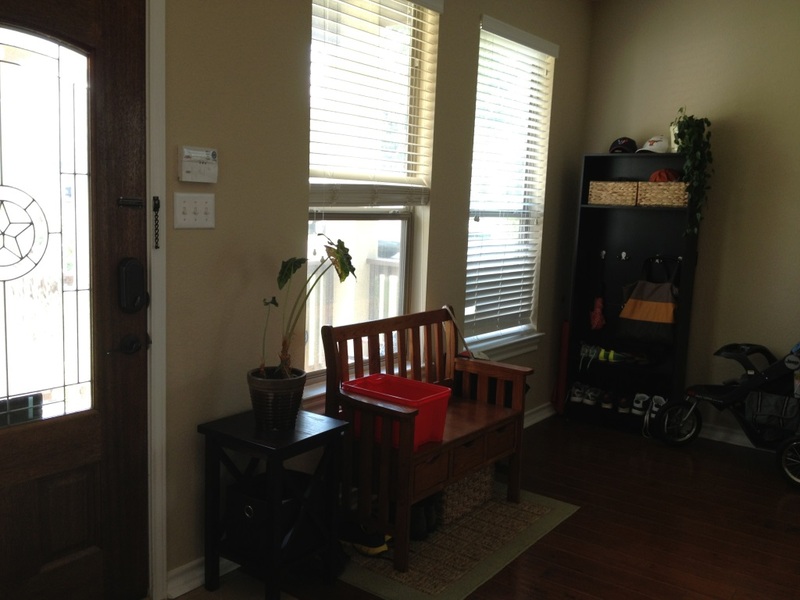 Once the mudroom was finished, the whole space came together organically. 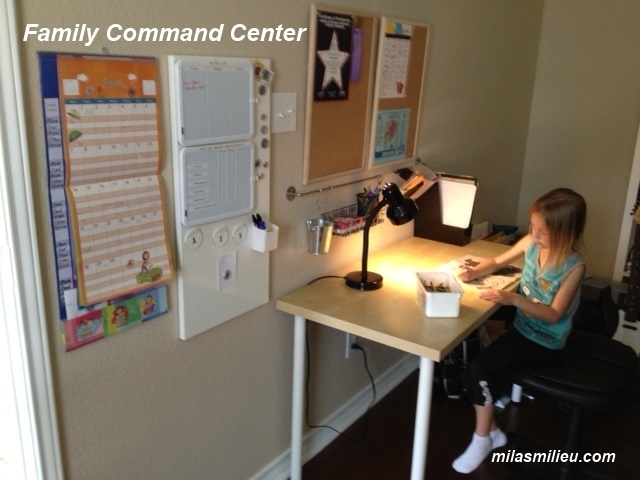 It was a logical thing to do: now when we come home, the kids leave their coats and shoes in the mudroom, step to the command center to look at the calendar and the messages (I will write about the command center in a separate post. It’s been SO helpful), leave their school papers for me to sign/sort. And if the mudroom corner gets messy, it is contained to that corner and doesn’t hurt my OCD soul every time I walk by. 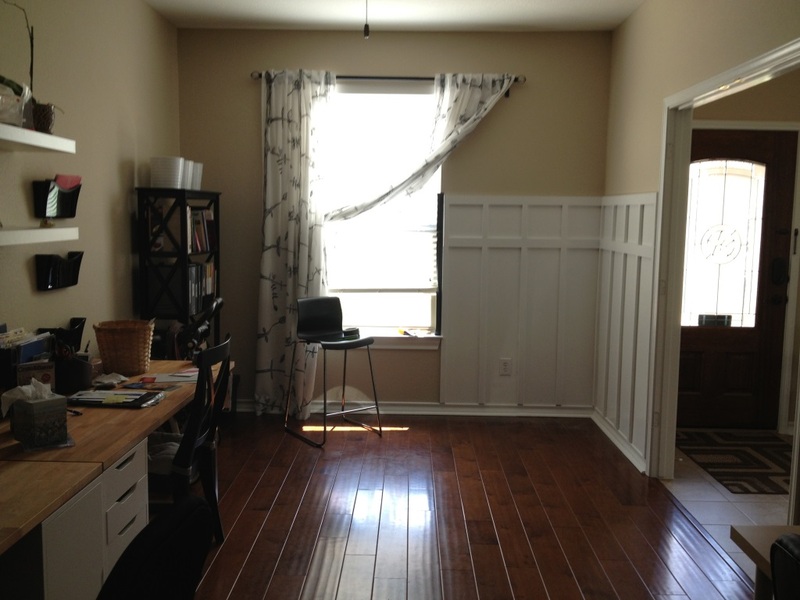 The office/homework/mudroom space has been working hard for us. Those shoes are not gonna sort themselves! I will be sharing how we made it functional in future posts. 1. Sleep on it! Give your new house and your family time to get to know each other. Observe how you use the space on a daily basis, and plan your home improvement projects based on your actual needs, and not on conventional expectations. 2. Do not be afraid to think outside the box. You may come up with unique ideas. The fact that it hasn’t been done before, doesn’t mean you shouldn’t do it in your home. If it is fits your family lifestyle– go for it! 3. Involve the whole family (or at least the people who can talk) in the design process. Have an open discussion. It may force you to give up some “brilliant” plans you had been developing in your head, but the end result will be a well thought- through and realistic plan (don’t ask me how I know). 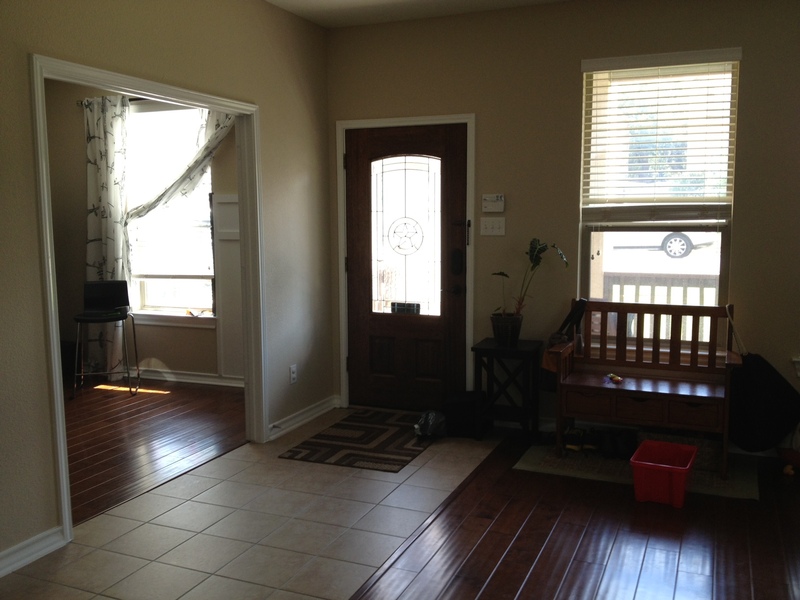 What is your approach to home improvement? Do you prefer to attack everything at once, and then relax and enjoy your home? Do you plan your projects or do you let things shape up naturally?